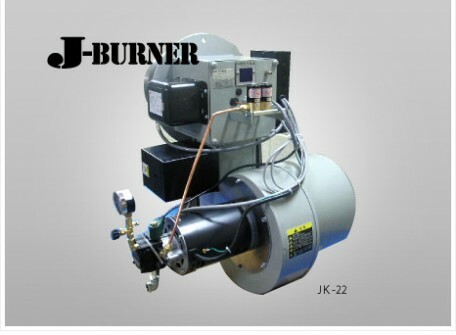 J-Burner is designed that it’s　window box and air compressor is separated in order to be fitted various type of boiler and farness. Low NOｘ type is also prepared. 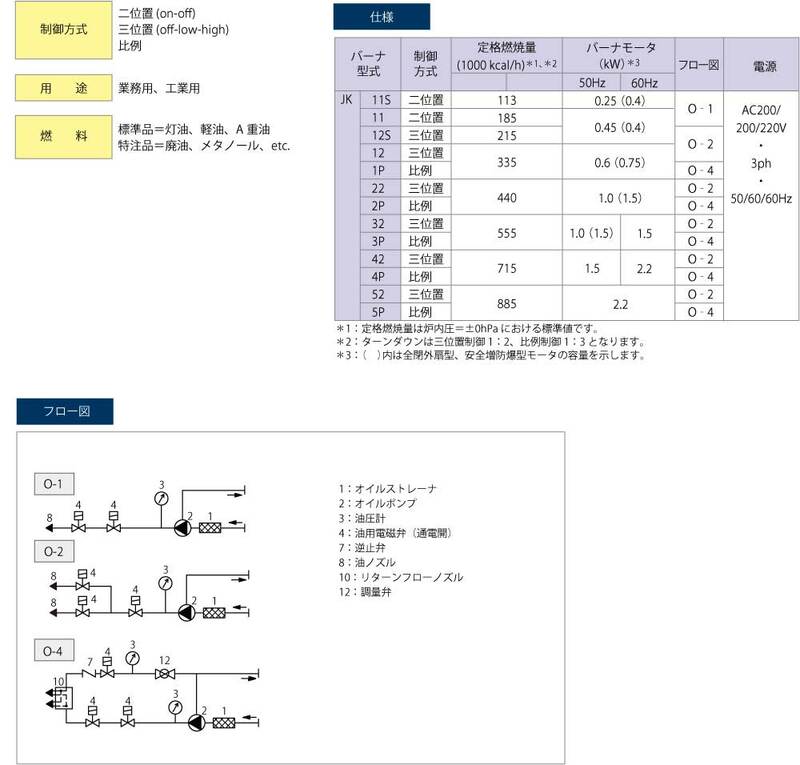 ・J-Burner is made by pressed steel plate, and fuel is gas or oil. ・Thanks to window box and air compressor separated design, it can be used for high pressure furnace. 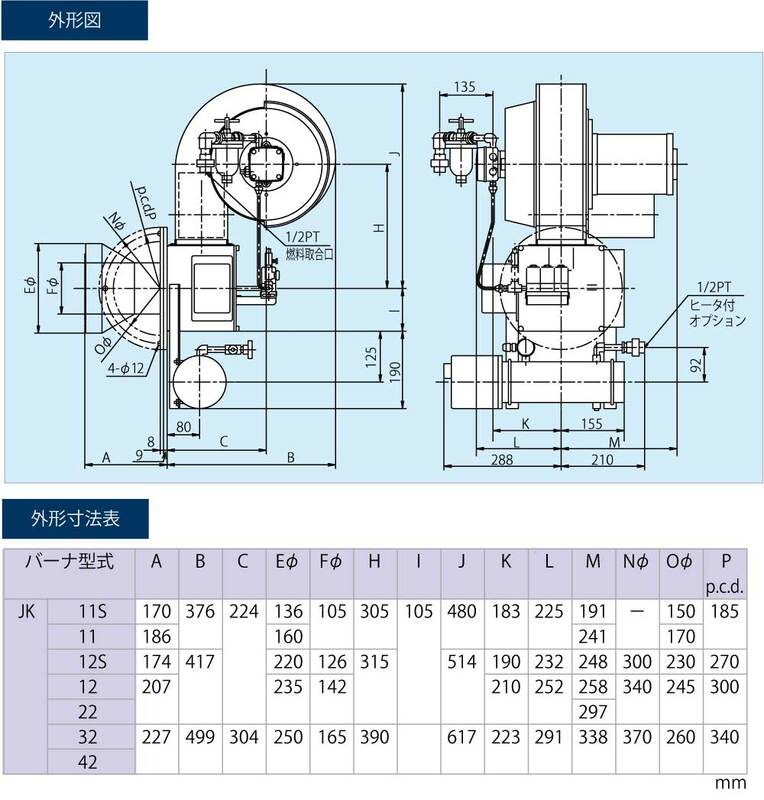 ・Positioning of air compressor for burner center is quite free, so burner attachment can be designed compact style.